 Dining at T-Bones Tex Mex is a fabulous combination of fun, fantastic food and sensory stimulation. First impressions count and here diners are greeted with colour, excitement and friendly staff. The large family restaurant features bold murals on the walls and funky furniture. Good use is even made of Corona bottles that feature as light fittings above the bar. You can choose to dine in a booth or at tables, or you can stroll up to the bar and take a seat on a well-worn saddle while the staff fix you a drink. Of course a margarita is highly recommended. The menu is packed with spicy South American choices. Start with the battered Jalapenos to fire up your night, or choose from other sensational starters to share. The main menu is packed with hearty fare including ribs, steaks, chicken and the tastiest Mexican dishes you can imagine, all served in generous Southern American portions. While you wait for your meal the kids can be entertained with games and activity packs plus cowboy stools as the best feature in the restaurant if you are a youngster! T-Bones Tex Mex leaves everyone completely satisfied, and when it comes time to pay the bill, kids 12 years and under won’t be charged on Tuesday, Wednesday and Thursday nights*. Now that’s good ole Southern hospitality for you! * Terms and Conditions apply. One Child 12 years and under, per full paying adult (Adult must order min 1 x main course). One selection free per child from the kids menu. Valid Tuesday – Thursday nights only. Must dine in T-Bones Tex Mex Restaurant (Takeaway or Foodcourt service not applicable).